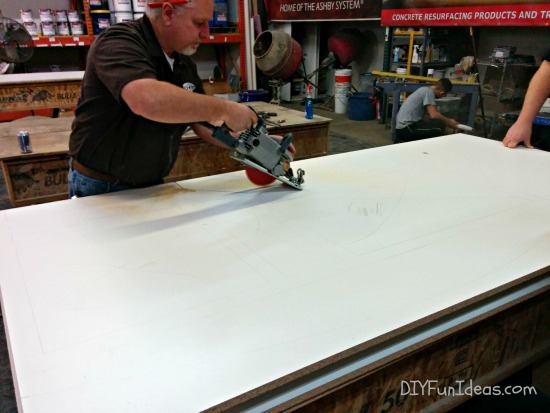 In the last post, Part 1 – Intro & Templating, we worked on creating the template for building the form that will give your countertop it’s shape. Now, we will actually be building the form. The form is built from melamine board. Melamine is basically particle board covered with a white melamine sheath. You’ll often see it used for shelving. 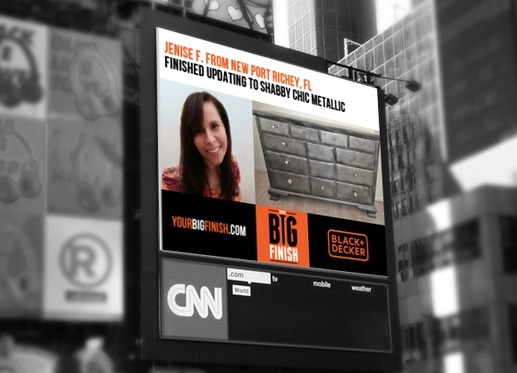 It comes in various sizes and can be purchased at most home improvement stores. We used two large 48″ x 96″ (3/4″ thick) melamine boards to configure our form, but of course, adjust for the size you are building. 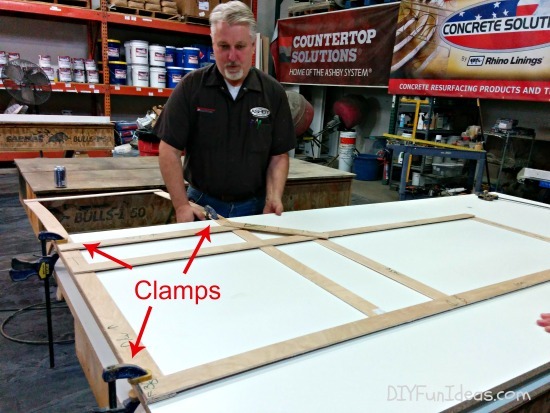 Use clamps to secure your template to your board. 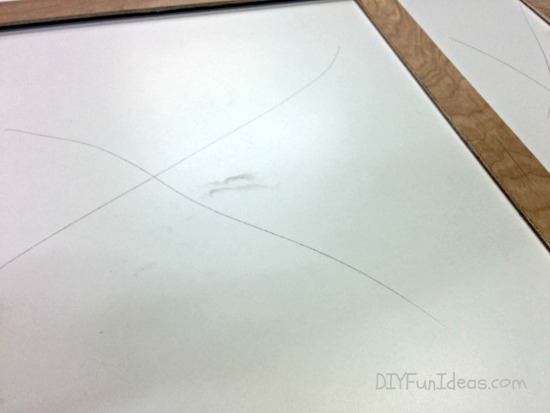 To make this as easy as possible, align the back edge of your countertop template to the straight edge of the board. You can see how we did that on the left side of the image above. 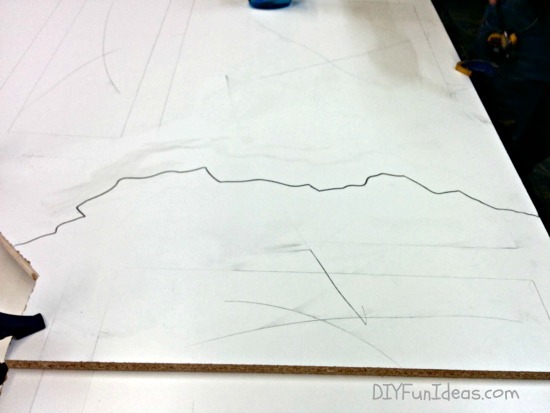 Use a pencil to trace along the inside and outside of your template. Tracing along all the interior edges will simply help you stay oriented on the board once the template is removed. If you’ll be using decorative edges on the front and sides of your countertop, add that additional width to the edges where the decorative edges will be placed, i.e, if your edge mold is 1″ thick, add one inch to the sides that will accommodate the molds. Next, X-out all the open spaces on the board. This is simply another tip for staying oriented. It will tell us that the X-out surface will face down when pouring the concrete. Why? Because when we pour the concrete, the surface we pour it on will end up being the top surface of the countertop. 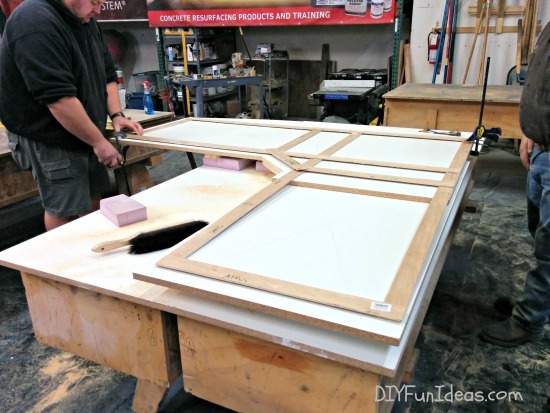 Therefore, you’ll be pouring a mirror image of the template, so we turn over the board. Use a skil saw (or other electric saw) to cut the outside edges of your marked form. Be as accurate as possible (obviously). Place your template over the cut out form to double check for accuracy. In the photo below, on the left side, you can see how we left extra space for our edge molds. On the far end of the image above, we wanted a rounded side to create a space for bar seating on that end of the countertop. So we used a bent piece of plywood strip to outline a gentle radius on that end of the countertop and then cut. As mentioned earlier, we built this countertop in two pieces. So, next, we will create the joint where the two pieces will connect. In the image above, we used two melamine boards to create this form. You can see in the middle of the photo where one board over laps the other. If you are using two boards to create your form, then with your boards overlapping, use your template to make sure everything is aligned to the template and then reclamp the two boards together. Your joint doesn’t need to be straight. We decided our joint would mimic a marble vein, and drew it on with pencil. Notice that the joint overlaps the doubled boards. We will be using the bottom board as the second part of our countertop form. 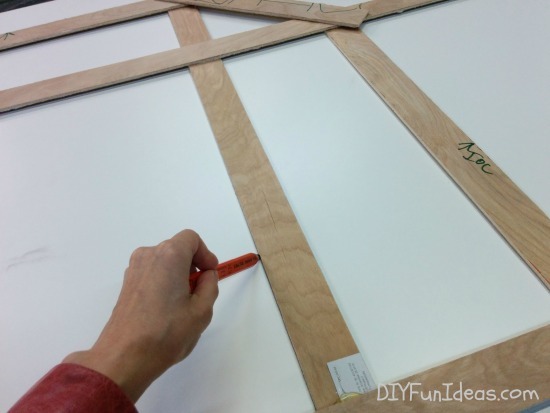 Use a jigsaw to cut through the doubled boards. When you remove the cut piece in the image above, the two parts of the countertop should fit together perfectly. Notice no writing on the melanine? That’s because we also flipped the board. Remember, we’re pouring the concrete on a mirror image of the countertop. So the writing is now on the side facing down. Now, it’s time to create the form edges. 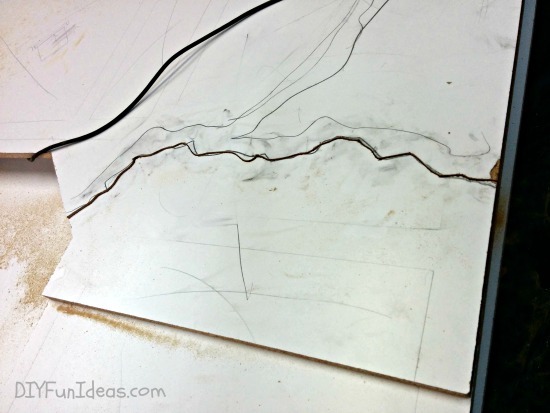 First, we’ll create the mold edge for the joint (you know, that crooked part that we cut to mimic a marble vein). If your joint is going to have a straight edge, you can skip this step and simply use the 2 ¾” melamine strips that we’ll discuss below. 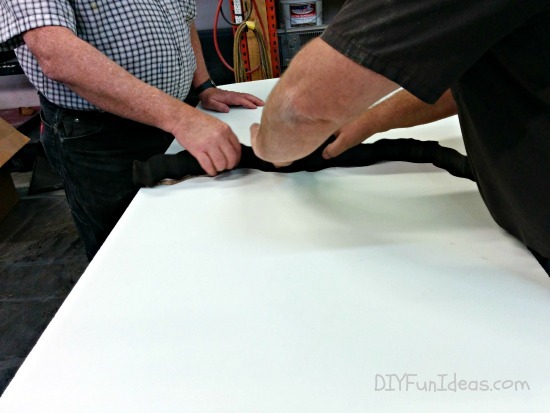 But if you are making a crooked joint then read on..
Use roofing paper to form the crooked joint edge. 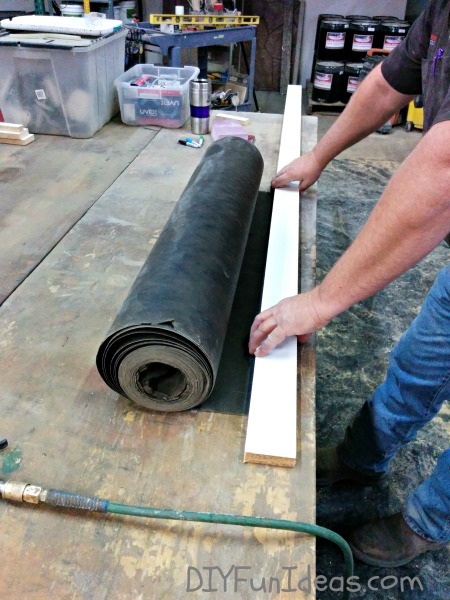 Why roofing paper? Simply because it’s a heavy material that can be easily formed and hold it’s shape. 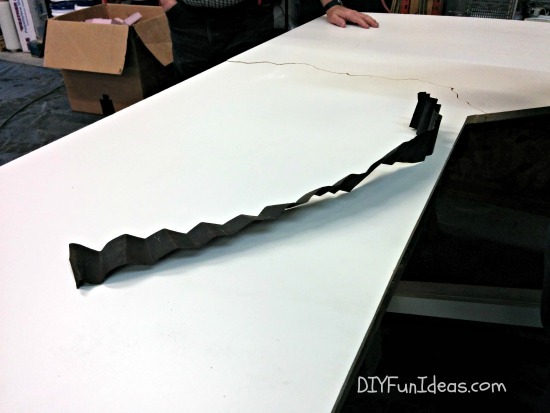 Cut a strip of the roofing paper 2 ¾” wide. Crinkle up the roofing paper to give it a more natural stone-like finish (since we’re mimicking a marble finish). 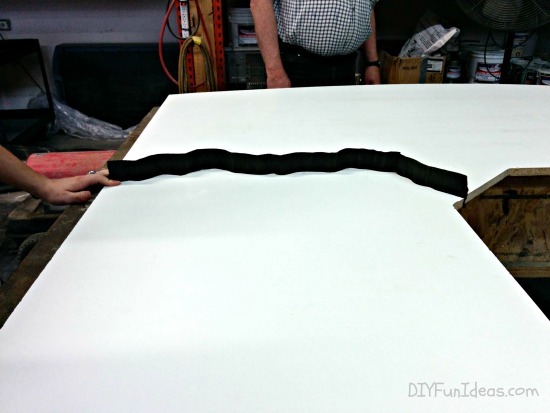 Slide your crinkled roofing paper into your vein joint and press the two sides of the countertop form together to hold it in place. Now, we’re ready to install the external edges. This is such a great tutorial. I love how you added the veining. Thank you so much Stella. That’s so nice of you to say. I’m so happy with how it turned out and can’t wait to build my own! 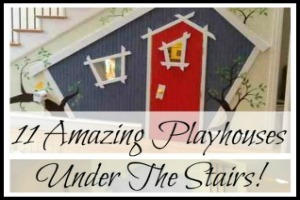 HAVING BEEN A LICENSED BUILDER IN MICHIGAN FOR MORE THAN 25 YEARS, I FOUND YOUR ARTICLE & IT’S GORGEOUS PICTURES FASCINATING!!! I AM NOW CONSIDERED DISABLED BUT, AM LOOKING FORWARD TO THE NEXT INSTALLATION OF YOUR TUTORIAL! 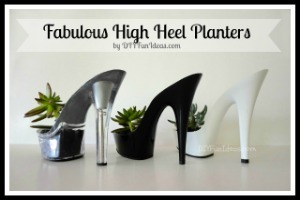 I WOULD LOVE TO GIVE IT A TRY….MAY NEED SOME HELP, BUT I WOULD LOVE THEM IN MY KITCHEN. YOU GO GIRL!! DON’T LET ANY MAN TELL YOU “IT CAN’T BE DONE” THOSE ARE THE ONES TOO LAZY OR NOT SMART ENOUGH TO FIGURE OUT HOW! Hi Laura, Thank you so much for your comment. It totally made my day and put a great big smile on my face! I totally agree, I never let anyone say it can’t be done. Another reason people tell you that is because if they can’t do it then they don’t want to see others succeed. I don’t pay those folks any attention. Anyway, should have the next post coming soon. Have a wonderful evening! I LOVE It!!! You go girl!! I am a Custom Decorator and owned/operated my own upholstery,drapery and commercial/residential awning business for 22 years. I had to get my Commercial Awning contractors license which led to full on building and I am so proud of women who know they are capable of doing whatever they love. You are an inspiration to me to keep learning and loving what I do even at 58! Thank you for the information and inspiration! 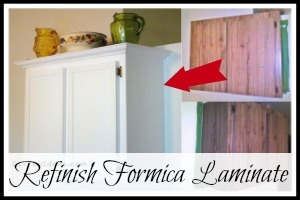 I will be doing this for my kitchen and then others too! I now donate most of my labors to women who are alone and need work done. I teach them as I help them is my greatest joy to pass on what I know and I can see you choose to do the same.God Bless You!!!! Wow, Johnette, this is one of the nicest things anyone’s said to me. You are so thoughtful! You sound like an amazing woman, giving back to your community. I too am a big believer that you should never stop learning. Learning to do new things is what keeps me inspired and fulfilled. If you have any questions when you start to work on your kitchen, please let me know. Looks amazing. Thanks so much for the detailed tutorials. This is my “someday” project. 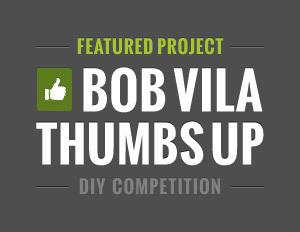 Found this on Create It Thursday #90. Wow this is so neat, and love them! Thanks for sharing how they were done! Thank you so much Robin!!! Wow, what a great tutorial! I have always thought that concrete counters looked awesome. Thanks for sharing with SYC. Thank you so much Jann! And thank you for hosting each week! I’m just finishing the plans for my new home. The actual building should begin in September (OK, so maybe I’m a bit hopeful! ). Anyway, I was going to put in granite or marble countertops. Now I’m not so sure. 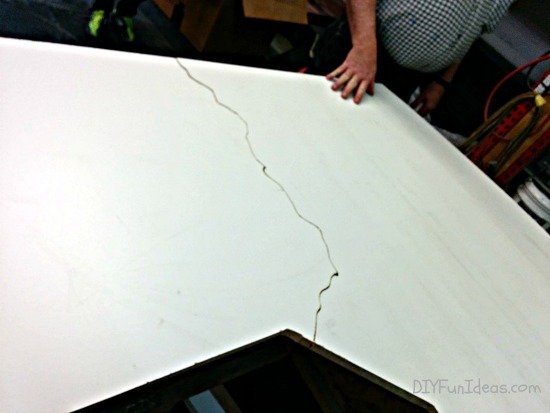 The cost of using the concrete countertops versus the other two can give me considerable cost savings. Also, I can be creative by using different colors and different styles of veining. 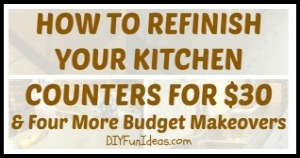 Now you’re given me a alternative that will save me money (the savings on the countertops can be used in upgrading other areas of the structure)! I started thinking about where I can substitute concrete rather than using tile, or brick or stone, etc. and extend my budget. Thanks for the tutorial you’ve given me a lot to think about! ! I’m going to take the hands on course. My pocket Yorkies (Sugar and Honey) much travel with Mom but I’ll spare the class their supervision! Vegas must have a doggie spa. Shouldn’t it?!! Doggie spa in Vegas? oh please! In Vegas I’m sure can find them a little castle with a personal chef. 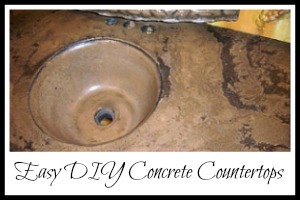 :-) I’m so excited to hear that you’re thinking of doing your own concrete counters! I guarantee that you’ll love it. 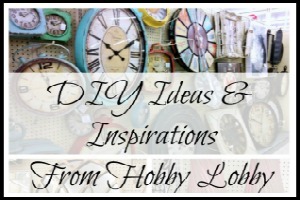 If you like to DIY, the process is really fun too. I’m going to be doing a bathroom vanity top with integral sink soon and my supplies just arrived today! I do have to finish a few other projects first (that’s my rule or else I get spread out too thin and nothing happens), but I can’t wait. 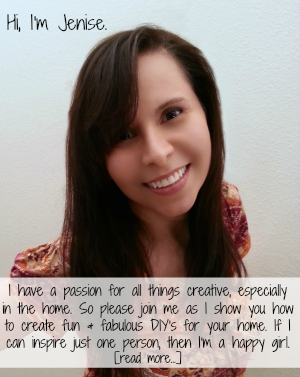 Please let me know what you think after taking the class. I want to hear more!!! And Ben is so nice. After taking the class you can call him anytime if you have questions or need help with your counters. We were looking for someone to show us how to do this and I came across this. How cool. Am I missing something after making the mold how do we mix and pour the concete. Where is the rest of the tutorial? I paid someone to pour a concrete outdoor kitchen countertop for me. He said it was solid concrete, but it ended up being just about 1/4 ” thick over some pressed board of some sort. It ended becoming very cracked and warped-of course after the guy went out of business. I am wondering if doing your project with the veining would make those spots less strong for outdoor Colorado weather, heat and freezing? 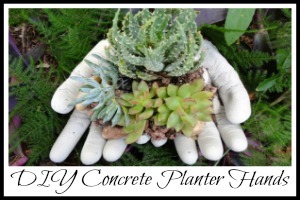 Can concrete be painted? 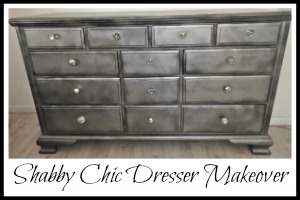 If so, with what kind of paint? As far as the veining, the answer is no, it will not compromise the integrity of the slab. The veining is made of the exact same mix that is just colored differently. So it’s no different than any other part of the slab. And, yes, the pieces made using this process will definitely stand up to the Colorado weather. I do know that Ben does recommend using a specific sealer for outdoor use. I’m not sure exactly which sealer that is, but if you decide to use this process for your project, he will tell you which one to use. So are there any pictures of what it would look like without that special product the average joe can’t get? I want to do this but I have no idea what to expect it to look like without that ingredient so I was hoping to see another picture. 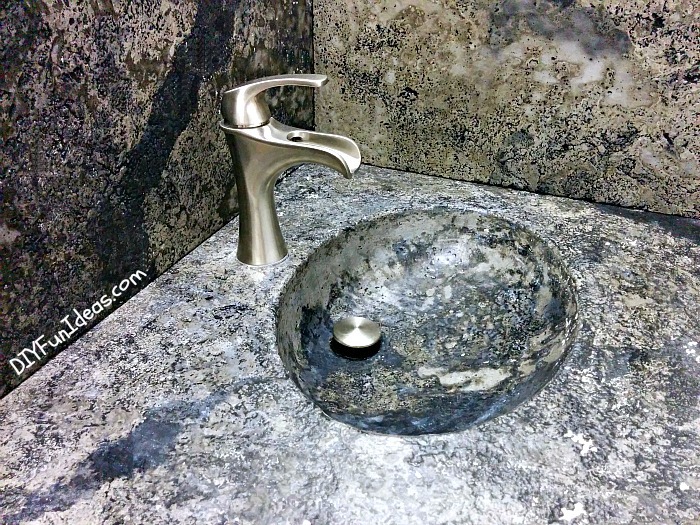 Without the marbleizer it will look like a plain solid color concrete countertop. If you google concrete countertops you’ll be able to see lots of concrete countertops in all different colors. That’ll help you decide if you prefer to make one with or without color.